MANILA, Dec. 11, 2015 -- The Christmas Toys & Collectibles Fair 2015 kicks off today at the SM Megatrade Hall 2 in SM Megamall with toys, gifts, freebies -- and free Wi-Fi from LexCorp Industries. The tech company will be the three-day event’s official Wi-Fi sponsor from Dec. 11 to 13, starting at 10AM to 9PM. Fair attendees simply have to drop by the LexCorp booth to register and get their password to access Wi-Fi. The LexCorp booth will also provide free charging stations for guests, and raffle off portable cellphone chargers to lucky Wi-Fi users during the event. LexCorp believes in technology that unites people, where inspiration, innovation and imagination all come together to create a greater tomorrow, today. The company is also proud to announce the soon-to-be-launched Lex/OS, the world’s most private and secure operating system. Engineered with the protection you need, and the freedom you want. LexCorp and the New Lex/OS, providing the safety and confidence we need in an ever changing world. Let’s build a better tomorrow. 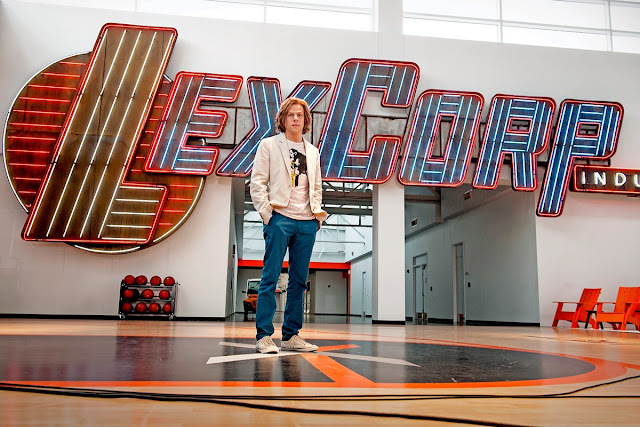 LexCorp is the second largest emerging technology corporation in the world. With its change in direction from oil and heavy machinery to tech, it is now one of the leading businesses amongst the FORTUNE 500. However its not just a mega enterprise, LexCorp is also one of the top three charitable corporations in America. The firm, originally founded by Alexander Luthor Sr., is now run by his son Alexander “Lex” Luthor Jr.
Alexander “Lex” Luthor is the head of LexCorp, taking over the company in 2000 after his father’s untimely death. While only 31-years-old, Lex has taken to the role of tech mogul in stride. He is the youngest ever to be named Fortune’s business person of the year AND one of the magazine’s worlds 50 greatest leaders.